All levels of personal ethics are dependent on the individual’s ability to master himself. A logical starting point in thinking about this is consideration of what it means biologically to be human. In the course of evolution, nature permitted primates and then humans to lose physical attributes previously necessary to survival such as large teeth or speed, and compensated by giving them larger brains which led to longer periods of dependence and compelled them to live in groups. This left humans with strong drives, uneven moods, and minds capable of negotiating the complexities of social hierarchy. The larger brain eventually led to perhaps nature’s greatest achievement – the ability of self-reflection. But for a human tribe to survive, members had to learn to master their drives and moods, and promote social stability in order to be a useful part of the whole. This primordial need followed us into civilization. In addition humans, as all animals, live in a world of uncertainty and danger which leads to stress and anxiety. One key need for humans is the ability to rest and refresh the mind in order to concentrate on physical and social needs. Sleep is the biological form of that rest, but the complexity of human functions and psyche requires a waking method of relaxation and centering as well. This is the realm where self-control plays out. So at one level, self-mastery is simply the ability to control emotions and instincts and maintain equanimity and poise. It is not automatic, rather the result of effort. It begins with parental efforts to modify the child’s unsocial behavior through a socializing process. But most of us are only partially competent as we come out of our parent’s supervision, and it may be a lifelong process to achieve final mastery of the self, if we ever succeed. Various methods are thought to help one develop this level of self-mastery. 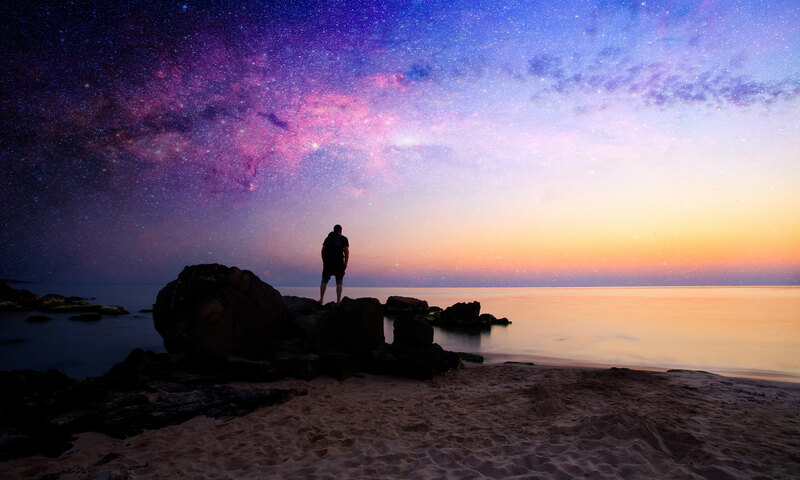 The stoics and several Eastern philosophies encourage a process of self-denial and contemplation as a means to live in conformity with the harmony of nature and the cosmos. Yoga and some martial arts are examples of more formal disciplines with self-mastery as a goal. Religions often consider fasting as promoting it. Psychological counselling and self-hypnosis are more typical modern Western means to this end. By whatever means, this control of instincts and emotions is included in that portion of self-mastery called self-discipline. The cardinal virtues attendant to this portion of self-mastery are temperance and courage. As I discussed in the introduction, the essential function of philosophy comes down to the question: how should I live my life? Until now, we have been discussing the nature of reality which is the more static dimension of philosophy, and is, over the course of history, increasingly falling into the domain of science. 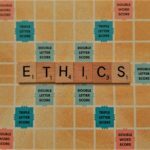 Ethics is more dynamic and has defied scientific analysis to date. It is about how we live our life, about our actions, particularly determining right and wrong action. Ancient philosophers called right action ‘virtue’ and wrong action ‘vice.’ Modern philosophers seems to prefer the word ‘morality’ over ethics and more recently the trend is to dissect morality further into its atomic level of values. Perhaps these modified concepts of ethics will prevail in the future, but I still prefer the time honored terms of the ancient thinkers and will mostly address human conduct from that vantage point. Of course the crux of ethics comes down to deciding what ‘right’ and ‘wrong’ mean. This is an example of where one’s understanding of the nature of reality becomes critical. For instance, in the aristocracies of ancient empires or the middle ages, property rights and local order were maintained by a small group, so strength and honor were the highest virtues (think of King Arthur or the movie Gladiator). In modern history where the ultimate reality is a society or a nation (‘the state’), sacrifice and duty become the highest virtues (think of the soldier in World War II). In Christianity, where loving one’s neighbor is most highly regarded, charity and selflessness are the highest virtues (e.g. Mother Theresa). The role of philosophy is to define a basis for ethics and conduct that is logically consistent with one’s picture of reality. Since people vary in their view of reality, there is room for variation in ethics. This is not to say that ethics are relative. Rather ethics tends to be tailored to historical and individual circumstances and one’s personal understanding of reality. In any case the carefully thought out ethical systems and principles of the great thinkers should not be discarded in the absence of careful reflection. 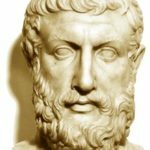 One such example is abortion – forbidden by Hippocrates- but after extensive medical, political, and judicial deliberation is legal today, and no longer part of the modern Hippocratic oath. This site cannot determine what makes for right and wrong action for all its readers, but it can encourage critical analysis of one’s beliefs and actions, and offer robust systems for consideration. We will now discuss each tier in some detail. “Not being cannot be – there is no void. The One fills every nook and cranny of the world and is forever at rest.” – Parmenides. While neither of my dictionaries defines ultimate reality, the online Merriam-Webster defines it as “the supreme, final, or fundamental power in all reality.” While I find this reasonable, I tend to think of ultimate reality as the highest reality inclusive of all being and all ideas or as the logically first being from which all other beings and cosmic law are derived. For the monist or strict materialist then, cosmic reality is ultimate reality and largely well defined. For some philosophers and virtually all theologians, ultimate reality transcends the physical universe. Several ancient Eastern philosophies and religions embrace an ultimate reality. Hinduism identifies Brahman as the power sustaining the cosmos. 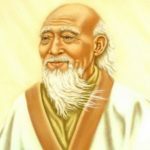 Lao Tzu refers to the ultimate reality as the Tao, or Way, a somewhat obscure concept of timeless universal order. As I was reading many of the great philosophers I tried to identify their concept of ultimate reality and it became apparent that their concept of ultimate reality drives much of their philosophy. I believe this applies to us as well; our concept of ultimate reality will drive most of our philosophical beliefs and even direct our lives. Therefore the most important issue on the nature of reality that determines behavior and meaning is likely to be your definition of ultimate reality. It justifies a significant amount of personal reflection: Is there a creative unity or consciousness that underlies the universe? 1 Calaprice, Alice, The Quotable Einstein. Princeton University Press. 1996. ISBN 0-691-02696-3. Page 147. 2Tillich, Paul, Systematic Theology. The University of Chicago Press. 1967. ISBN 0-226-80336-8. Pages 11-15.